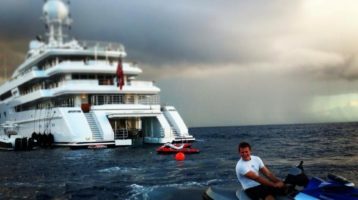 Seahub is an award-winning yacht maintenance management software designed to improve reliability and safety for the global superyacht industry. Access your Seahub account through the Seahub App available on iOS and Android. Effectively schedule and document maintenance tasks to avoid costly unplanned down time. 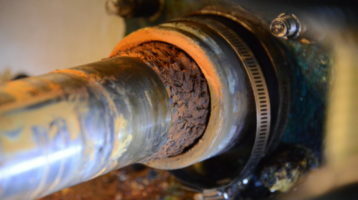 Increase situational awareness of equipment condition and detect failures before they occur. Track progress and control costs by driving vessel projects through our dynamic Project Management dashboard. Schedule drills, pre-departure checklists, safety inspections and manage certificates so you are never out of date and always in compliance. 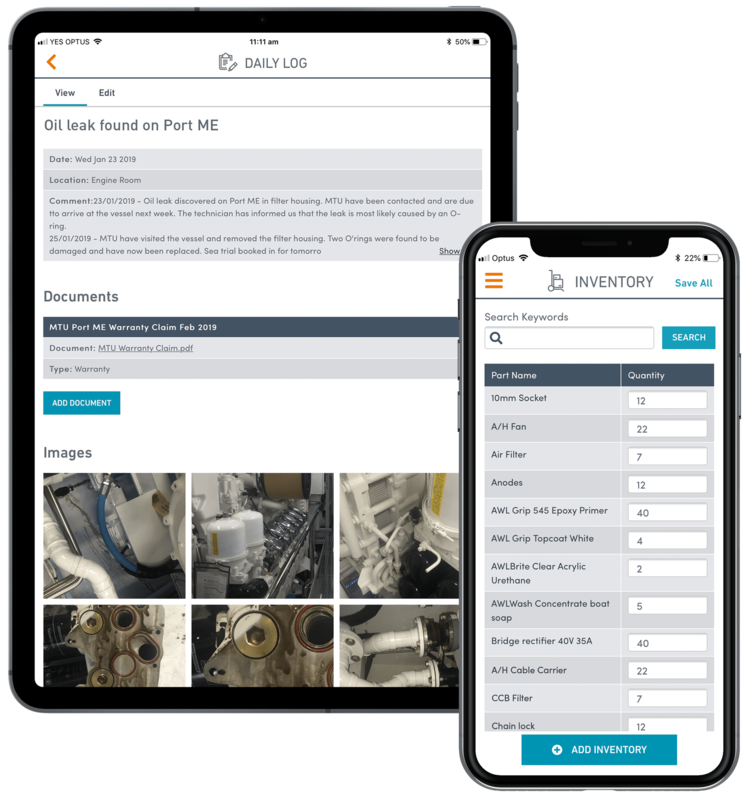 Access equipment lists, defect lists, completed maintenance history, crew lists, safety inspections and checklists as well as view daily logs logged by all crew. Know that critical maintenance will not be missed with reminders and alerts. Manage your team right from your maintenance calendar. Manage crew licenses, guest preference sheets and travel arrangements. Seahub is available offline through the mobile app available on iOS and Android. Download the Seahub mobile app free with any Seahub license. All offline and on your mobile and iPad devices! Use Seahub anywhere, anytime. Plans to suit any program, Seahub is successfully deployed on vessels from 50 ft +. Our plans are designed to provide the tools necessary to simplify, streamline and improve processes. * Add any one of two modules for a Select package. Take advantage of our managed Seahub deployment options including on site and remote data migrations, Equipment and Inventory Database building, Maintenance schedule planning, Document importation and more. Get up to speed quickly with personalised training specific to your vessel. Our experts focus on knowledge transfer so that our clients can experience the benefits of Seahub immediately. Our team is here to support you via phone and email around the clock. Your data is safely stored on a secure dedicated server with unlimited storage and bandwidth. With free updates and daily back ups your data is in good hands. In the ever changing superyacht industry, ISM compliance is becoming increasingly more dependant on digital platforms to enable Captains, management and crew more tools to keep on top of their safety and compliance responsibilities. 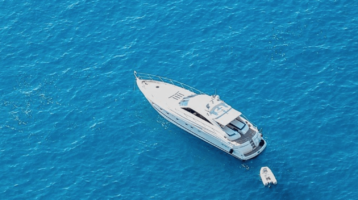 Whether your an owner of a 250ft superyacht in the Caribbean or the owner of a 75ft Riviera here in Australia, the one thing they have in common are both vessel require routine and regular maintenance in order to operate smoothly. Seahub, the flagship product of Hunter Oceanic, is an intuitive cloud-based yacht maintenance software designed to improve reliability and safety for the global superyacht industry. Seahub has been created by founders Matthew Hyde and Sam Wheaton, who have experienced first-hand the engineering challenges involved in today's marine industry and strongly believe that the power of yacht management platforms are becoming increasingly more essential. Seahub is a planned maintenance system (PMS), designed for captains, engineers, management companies, brokers and owners who wish to collaborate vessel information and document processes to achieve a highly organised and efficient vessel. 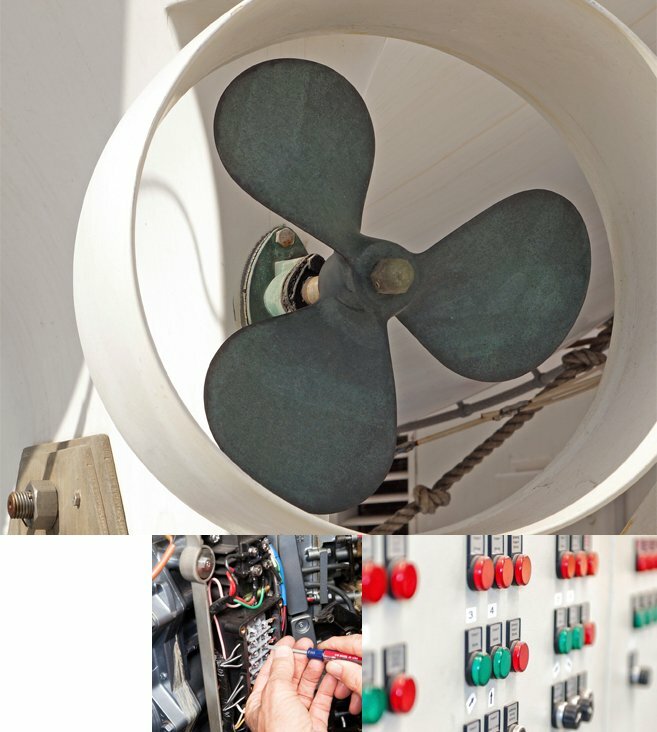 Seahub's dynamic user interface provides you with immediate situational awareness of your equipment's condition, promotes scheduled maintenance and reduces costly non-productive time. That means more time to enjoy your vessel. "Rolling out Seahub has delivered huge benefits to us. At any point in time we can see exactly where we are with the maintenance and inventory levels, which gives me peice of mind while on the move"